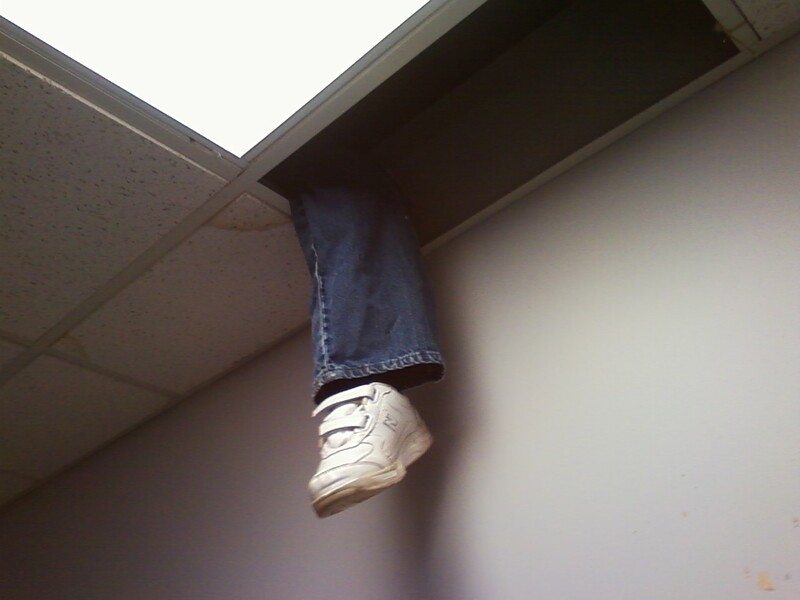 We had a fake leg dangling from the ceiling at work today. Couldn’t resist taking/sharing a pic. 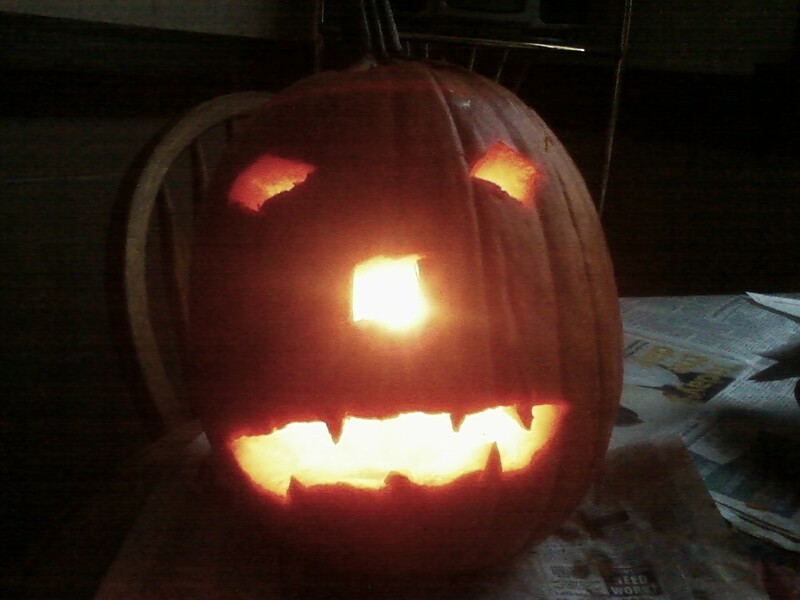 Just carved it tonight…scared? Anybody? Another video from Brett Fawcett. It starts as a sort of commentary on the 2010 remake of “A Nightmare on Elm Street,” but after a couple minutes it segues pretty quickly into reflections on the horror genre in general. A couple days ago I ran across a great article on Catholic Lane called — well, I won’t repeat the title. Just look up above. But I did not provide the name of the author, which is Rod Bennet. It’s a little on the longish side (about two and a half Word document pages), but I think you’d find it worth your time. 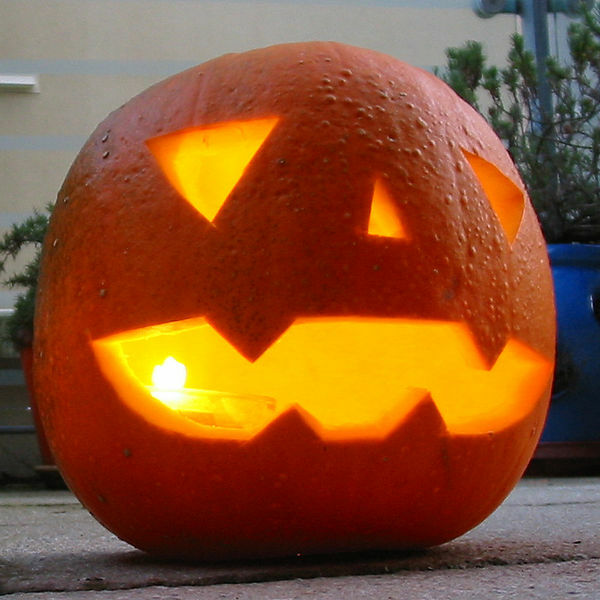 The King Kongs, the Godzillas, and all the “Its” from beneath the sea or outer space join Dracula, Frankenstein, zombies and ghouls as fan favorites for the Halloween season. What I love about “Cloverfield” in particular, though, is that it is shot so realistically. Unlike most mainstream Hollywood films, it achieves the feat of actually putting people into the incredible situation it portrays. The characters behave as people would behave if they actually were in the middle of New York City as it was being attacked by a huge monster. I think being confronted with realism in the context of the unbelievable — or vice versa, depending on how you look at it — has a way of getting us to think about the greater meaning of the unbelievable from a gut level, rather than in a cerebral and detached fashion. I happen to think guilt and fear have something to do with this and other narrative preoccupations. So what does it mean when we see giant monsters attacking big cities, exactly? In some sense, it might be intended as a commentary on nature’s resurgence against the hubris of a hyper-technological society. 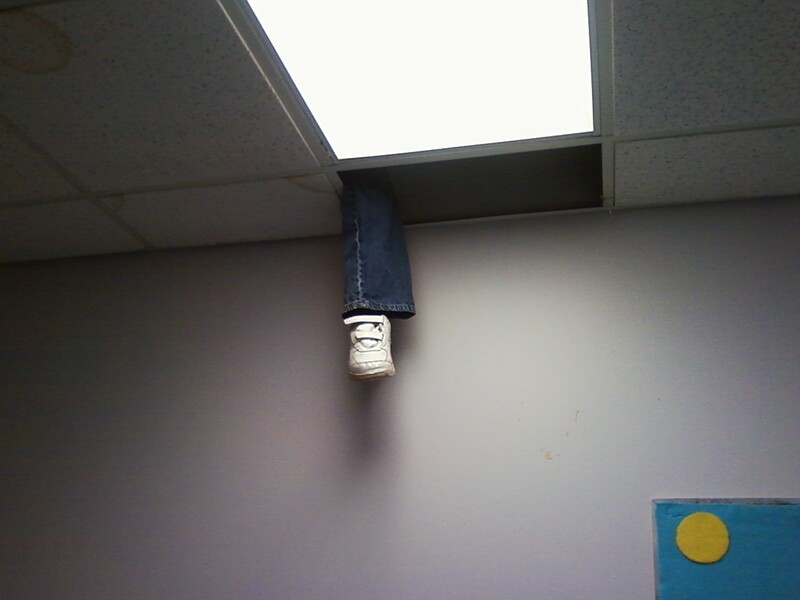 But at bottom, I wonder if there is not something deeper at work here. (h)uman beings have sinned. The animals, the trees, and the rest of nature have not. But when we turned away from God, we dragged the whole of creation down the road to destruction with us (“Wolves and Whales: Man and Nature in ‘The Grey’ and ‘Big Miracle’ — Part Two”). 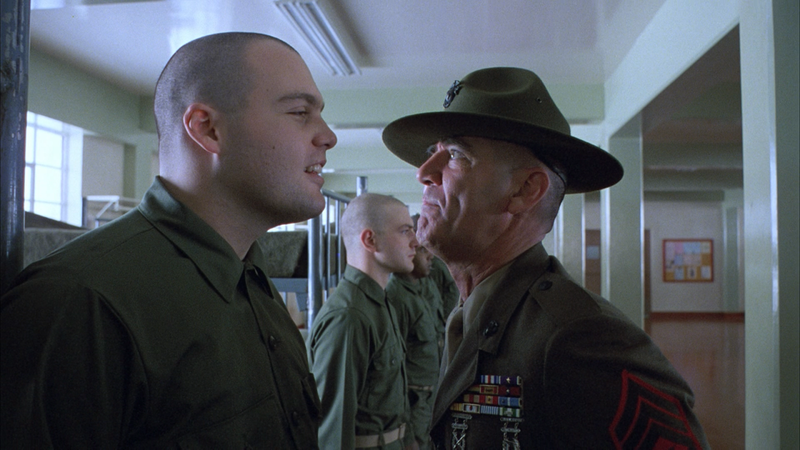 I am reminded of Stanley Kubrick’s 1987 film “Full Metal Jacket,” in which an inept private named Leonard Lawrence (Vincent D’Onofrio) brings the wrath of Gunnery Sergeant Hartman (R. Lee Ermey) upon his fellow basic trainees. A little ways into the film, Sergeant Hartman announces to everyone that from that point on, whenever Private Lawrence messes up, they — not he — will be punished. And what do Private Lawrence’s comrades do eventually? They gather around him as he sleeps and pelt him with rolled-up socks. Obviously, this is an imperfect analogy in many ways. But being in a sense the carrier of our curse, nature — whether in the form of natural disasters, animals (fictional or real), or otherwise — is not one to cry “(p)eace, peace … though there is no peace” (Jeremiah 6:14). Our task of stewardship over the earth was never abrogated (though it was made more difficult). And especially now that Jesus Christ has Himself borne our curse upon the Cross…well, just as we led creation into darkness, we must now lead it into redemption. To the extent that we are fulfilling our task, we have nothing to fear. But the more we are leading lives dedicated to worldliness, self-indulgence, luxury and greed, the more of a “wake-up call” we need. 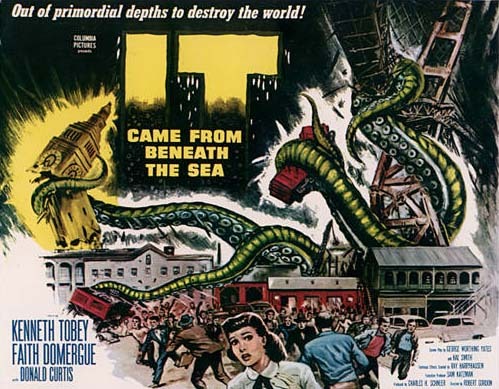 “It Came from Beneath the Sea” still from Wikipedia; “Full Metal Jacket” still obtained through a Google image search.